Average overall ratings - Based on 736 reviews. The resort has developed so much since our last visit over 25 years ago - great walks, great restaurants, great shopping and an old fashioned sea front promenade. Then there is the Old Town - quaint, traditional and beautiful. Altea is without doubt one of the most charming towns to be found on Spain’s ‘White Coast’, located in the region of Alicante on the Costa Blanca. The town is just 11 kilometres north of Benidorm, yet the two resorts are worlds apart. 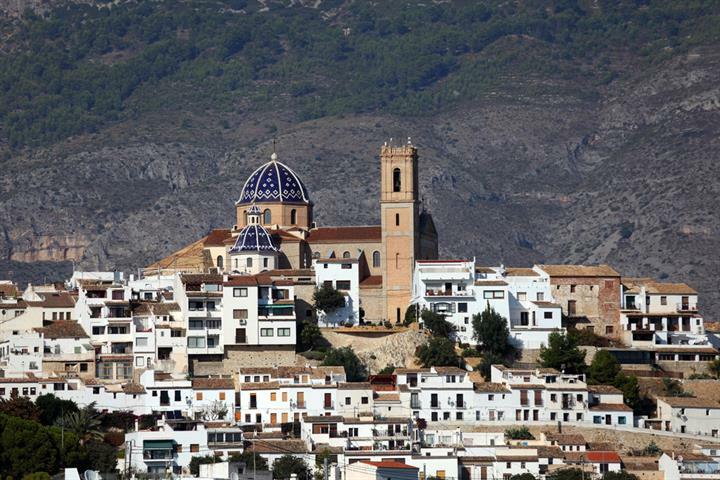 Altea is similar to other Costa Blanca towns in that it has a new and an old neighbourhood. The old section is perched on top of a hill from where you will find really spectacular views. All in all Altea is a pretty town, popular with both holidaymakers and those fortunate enough to be able to live in the area; it has a slowly growing community of multinational expatriates. The name Altea derives from the Moors who conquered the region and named it Althaya, meaning health to all. Altea has excellent amenities, however, if you want all-night discos and bright city lights on your holiday, give Altea a miss. This town is a holiday haven for the more discerning tourist who will be captivated by its medieval cobbled streets, its picture book old quarter and the delights of its palm-fringed seafront promenade. 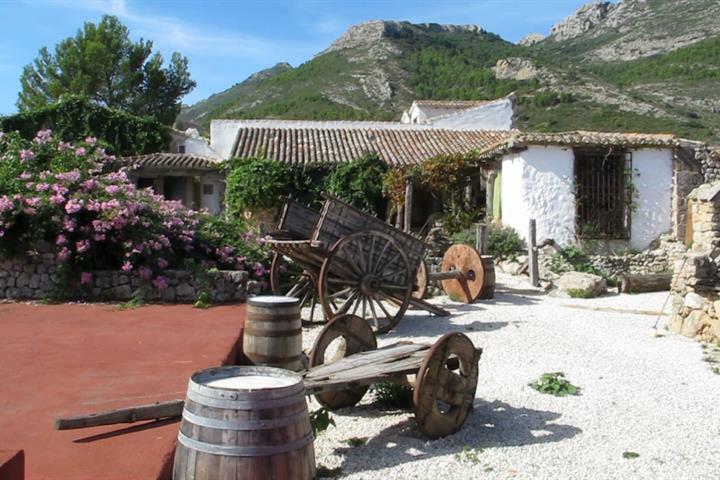 Eight kilometres from Altea, heading inland, is Polop, a small town surrounded by orchards and pine groves, which is highly recommended for those who seek peace, quiet and cool summer nights. From the Via Crucis which presides over the town, you can obtain superb views of the surrounding valleys, which owe their present appearance to the work of the Morisco farmers from many years ago. 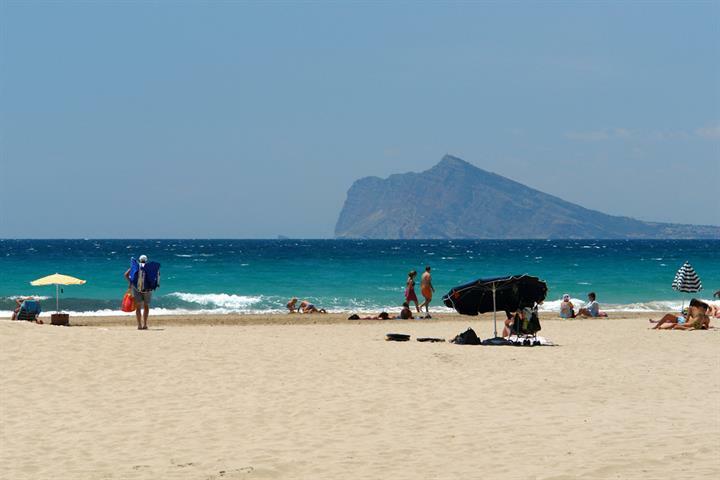 Benidorm makes a great day out with its eclectic collection of bars, playgrounds and beaches and ferry rides to the Balearics can be made from nearby Denia. are what you will find most on the Spanish menu. For international cuisine, Benidorm is just a short drive. Altea enjoys a privileged location and an excellent mild climate, with an average year round temperature of 18-20° C.
Discover the top things to see and do in Altea. 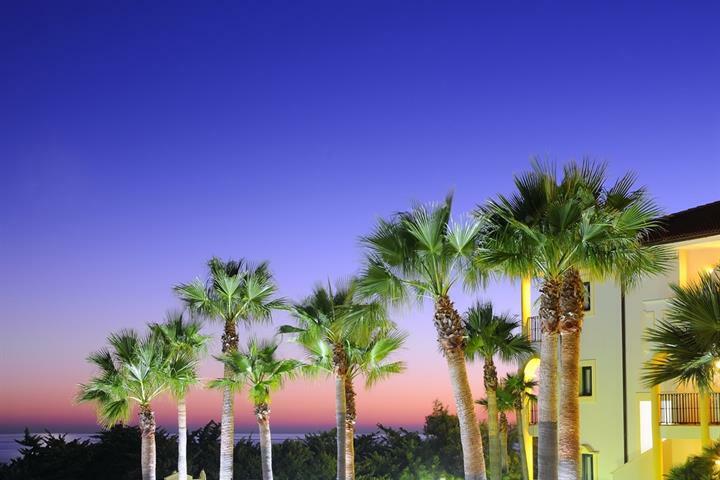 Wander through the narrow streets in the Old Town or relax on one of the sandy beaches. Discover the best beaches in Altea, a beautiful town on the Costa Blanca. 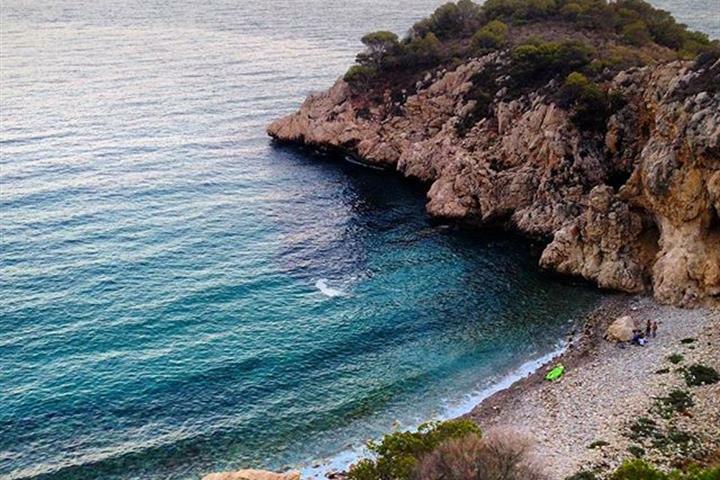 Find out everything you need to know for a perfect beach break in Altea. Thousands of cyclists head to the north Costa Blanca region to enjoy mountain trails or rides along the beaches. Altea is a good base for cycling. 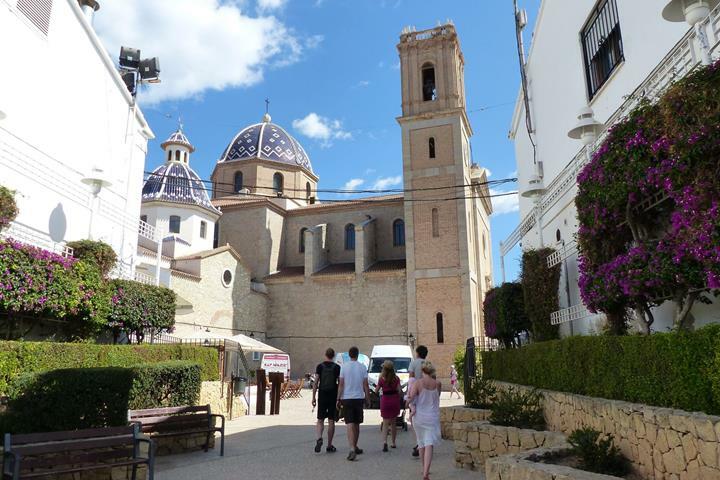 Altea old town with its iconic blue-and-white tiled dome of the church is a jewel in the Costa Blanca crown. It may seem a strange way to start an article about holidays, after all they are always relaxing aren't they? Well, that is not always the case! 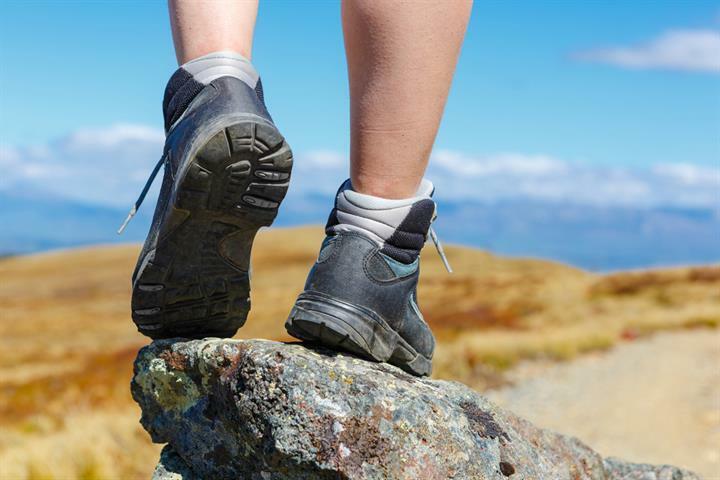 You don't to be super-fit to enjoy a walking holiday in Spain! We got our hiking boots on and ventured out into the "campo", the Spanish countryside. Discover the best beaches on the Costa Blanca. Whether you seek an urban city beach or a hidden cove, this coastline offers beaches for all tastes. Lovely contrasting resorts all close together. Very good and quiet at the time when we visited. Altea lovely place. Loacals very friendly and helpful. Wife very pleased with the shops in Altea. Easy to get around on foot. Used the tram for trips to Denia and Benidorm. Nice coastline. Pebbly beach, but very peaceful. Great coast for walks. The beach id mostly small stones, but the sea seems very clean and there were plenty of people enjoying it.